Bell Helicopter, a Textron Inc. (NYSE: TXT) company, revealed the configuration and full-scale vertical-takeoff-and-landing (VTOL) air taxi vehicle today during CES 2019. 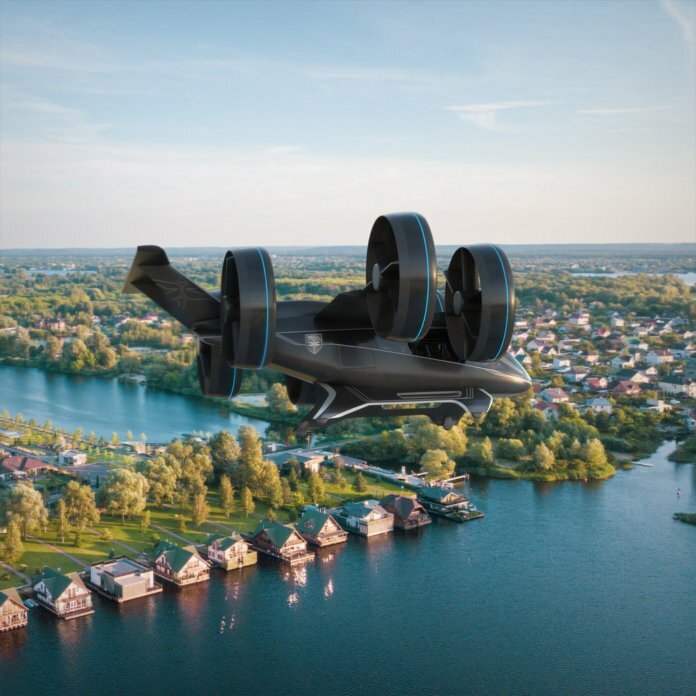 The air taxi, named Bell Nexus, is powered by a hybrid-electric propulsion system and features Bell’s signature powered lift concept incorporating six tilting ducted fans that are designed to safely and efficiently redefine air travel. As space at the ground level becomes limited, we must solve transportation challenges in the vertical dimension – and that’s where Bell’s on-demand mobility vision takes hold. The industry has anticipated the reveal of our air taxi for some time, so Bell is very proud of this moment. We believe the design, taken with our strategic approach to build this infrastructure, will lead to the successful deployment of the Bell Nexus to the world.